Think you know ’tough’? 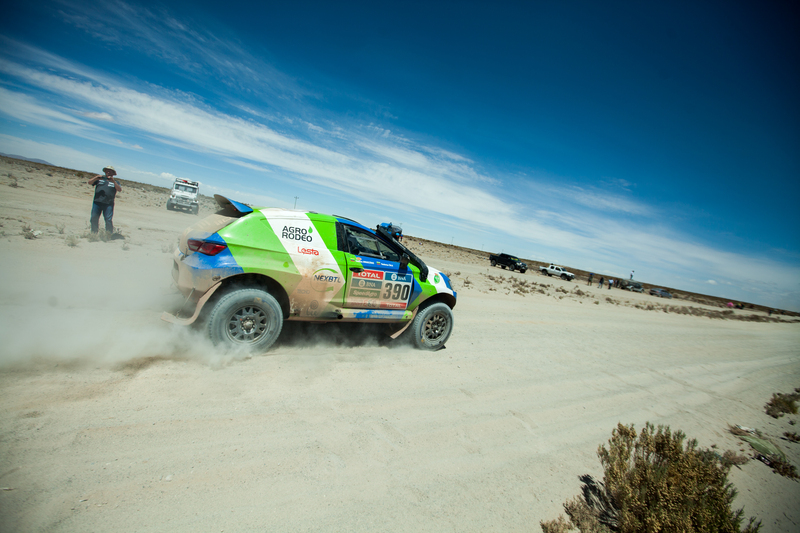 Benchmark this definition; a two-week race in unforgiving Argentinian and Bolivian deserts, 14 stamina–sapping stages designed to test both human and machine to the limits and a total race distance, if you make the finish line, of 9,237 km. Add, too, the weather event El Niño which resulted in torrential rains during the first week and then produced blistering +35C heat for the second week, and it becomes clear that ’tough’, in this context, is a dramatic understatement. The 37th Dakar Rally ended 16 January, 2016, and predictably, there was controversy, high-speed thrills and spills, accidents and numerous technical challenges throughout. 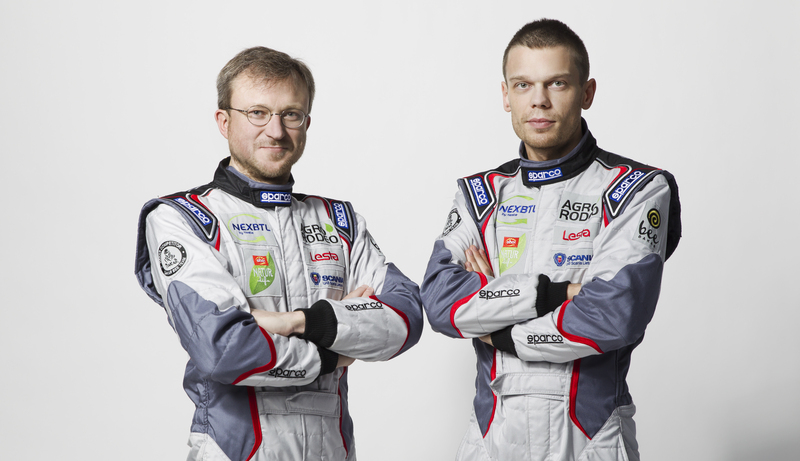 “We created a team,” explains Team Manager and fellow Lithuanian, Saulius Jurgelénas, “And we started working on the car. In the summer of 2015, another idea came into my mind that why not be a bit different from the others as well, and use alternative fuel. I am an environmentalist. I love ecological stuff and I am trying to keep a bee business as ecologically as possible, for example. Personally, the idea itself as a value means a lot. The team car, specifically created for the 2016 Dakar, was a prototype, based on the Seat Leon, a small family hatchback. It was also, almost uniquely for the Dakar, powered by a VW 1.9 litre turbo diesel engine, rather than the petrol engines which continue to dominate the sport. The decision to use renewable fuel completed the project. The team having made their calculations, decided that they would need three tons of renewable fuel for the whole rally. Because the fuel was not available in Argentina and needed to be shipped in, due to a number of bureaucratic obstacles in Argentina, the fuel only arrived in the country the same day as the team did. It was a close call. But, from that moment, of particular interest for the entire team, was both the performance of the fuel and the overall consumption as the race progressed. The end of the rally for the team occurred during Stage 10, the stage responsible for the highest number of retirements in the entire race. The course was around the Fiambala village, famous for soft sands and tricky dunes. 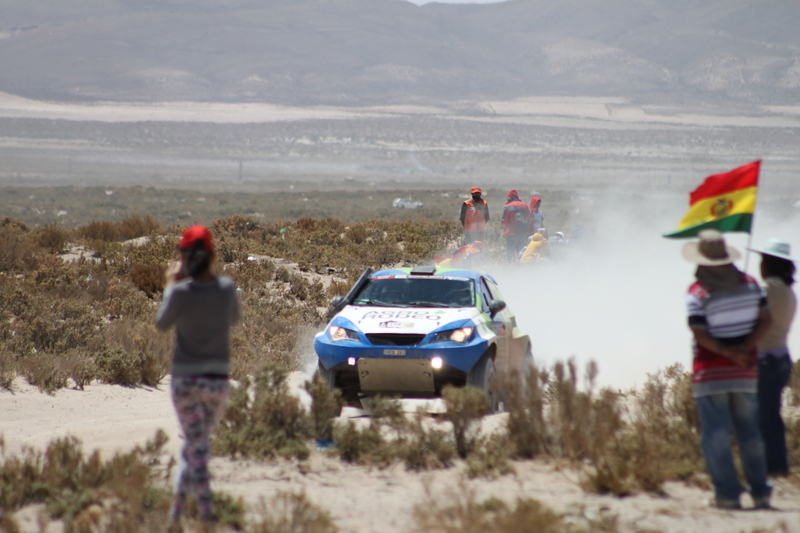 With an overheating clutch, numerous breaks meant progress was slow. By nightfall, only 80% of the day route had been completed. In daylight, the car had visually navigated the dunes by driving in curves like a surfer, but in the 3am darkness, in the last section of high dunes, the car ploughed into a sea of sand and the small engine finally lacked the power to escape. In the morning, the mechanics came to rescue the car. The rally was over. With the car now back in the garage in Lithuania (after finally ranking 73rd in the T3 ‘lightweight’ class), so begins the months of complex research, testing and electronic analysis on the engine, turbo, other mechanical parts and their complex interaction with the fuel. The team remains committed to overcoming all obstacles in the near future in preparation for the next rally.